No, this Pen was not made by Olympus. It's a typical Hit-type camera, featurewise, but it is an unusual name variant. So if you find one, you can confuse all your friends by telling them you'll bring along your Pen. 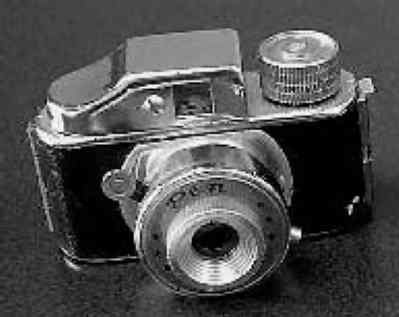 And don't forget to see the better-known Pen cameras -- 35mm halframe cameras that were made by Olympus.